"One of the highlights of 2002 is Standard Deviation, Electrum's second release. It is an all instrumental affair, though there are a tweensy bit of vocals on "The Will To Power" which opens the album. It's been a long while since I reviewed their debut, Frames Of Mind. About the same length of time as between albums, as Frames Of Mind was released in 1998 and this in 2002. Yet, Electrum remains Gino Foti on bass and synthesizers, Dave Kulju on guitar and synths and Joe Musmanno on percussion. Whereas their debut was Rush influenced, there's very little of Rush to be heard here (the opening section of "A Fugue State" and parts of "Seven Falls, Eight Rises" would be the exceptions), just intricate progressive rock. Overall Standard Deviation is a mellower affair. I don't want to say a classier affair, but there's an added level of sophistication here, a maturity to the music. Which isn't to suggest that Frames Of Mind was immature. It's just the band's arrangements have a little more elegance about them. While often the music seems sequenced by theme or mood, the album does contain many contrasts, often within particular pieces. "Degrees Of Freedom" is a lighter, more lilting, mellower track with piano-like synths, Foti's warm bass happily humming along, while Kulju plays gently soaring, singing leads. The mental image is probably the expected one, a bird on the wing, flying casually over the landscape. But then birds often signal freedom, as the ride the thermals. It's not as dreamy as new age, mind you, though if every piece were like this, Electrum would be a Narada or Hearts Of Space artist. They follow this up with the dark, angrier "A Tense Bow...A Moving Target." The quick rhythm and sharp leads underlie the "tense" aspect, as you get a closed in feel. There's some energetic drumming and percussion from Musmanno here as well, often played with a heart-racing rhythm (ah, the moving target aspect). This energy carries over to the next track "The Impudent Piece Of Crockery." If you love guitar rock, this will be your favourite track. Kulju's leads are front and center. Other sections of this piece remind me again (as his playing does) of Craig Chaquico, but there a few moments, the way the guitar shimmers, that Marillion's Steve Rothery came to mind unbidden (okay, him again). This particular guitar tone returns again for "A Fugue State," before giving way to a lazy, sauntering rhythm -- I thought of a dimly lit bar (orange being the color tone) somewhere in Hawai'i -- though of course, this also is a fugue. Emerson will come to mind with the darker organ tones that make their appearance towards the end of the piece. Angularity -- and by association, King Crimson-ity -- come in with the searing "Apartment Living." This is a heavy track, given sharp edges by the occasional pauses, the fuzzed guitar bursts, and stomping drums and bass. This edge is carried through into the 14-plus minute "Seven Falls, Eight Rises." Echoes of Rush's "YYZ" come to play here, but Electrum mix it up with additional textures - some acoustic guitar-like passages. Rush fans will hear a few other references. Classical elements (which sound familiar to me) develop naturally out of the mix, beginning with a tinkling piano phrase. It becomes something austere, and something one part Rush, one part Dream Theater and maybe one part Symphony X with a dash more of Crimson. Though it's fairly common in the prog genre, you might think that at almost 15 minutes it might get a little dull, but Electrum mix it up enough to keep it interesting. In fact, I didn't know that it was a 15-minute track until I set down to write this review. Beautiful. Yes, that just about sums it up. Not pretty, as that implies something maybe too cute, too frilly, and too fussy. Beautiful. Elegant. A pleasure to listen to over and over again. The kind of release that the more you listen to it, are drawn in deeper, you find new things -- a synth phrase here, a guitar bit there, etc. Beautiful might also imply some of those very same things I said about pretty, but rest assured it is not. "Apartment Living" would be evidence of that. It's beautiful but it's tough. This is no shrinking violet..."
"This second release from Massachusetts trio Electrum steps several times above their already fine 1998 premier release Frames of Mind. That means that this is one heck of a good album. Electrum plays all-instrumental progressive rock featuring drums/bass/guitar/keyboards. The first album had a strong Rush influence, and pieces often seemed like extended Rush instrumentals with the metal dynamics softened. The new album injects some of the metal back in, but purges most other Rush influences. One can still detect a little Rush in Joe Musmanno's drumming which is stronger and tighter on this album than on the first, with plenty of Neil Peart-like tom rolls. The CD's last two selections also have some distinctly Alex Lifeson guitar stylings. But where Electrum stands on its own is the use of more symphonic elements. "The Impudent Piece of Crockery" incorporates some lovely textured guitar playing. "A Fugue State" runs though several styles such as hard rock, jazz, prog-rock and features some excellent syncopated melodies. There is not a naff tune on the disc. In short, this is a superb example of finely crafted progressive rock. Highly recommended." "I'm gonna start with the end on this one: BUY THIS ALBUM! OK. This was another first for me, since I had never even heard about these guys before George zipped me their disc for review, but I am very glad he did. The band performs a highly disciplined brand of instrumental melodic prog and this one has it all, being a mostly mellow to medium offering full of spacey ambiance and "fusiony" jazz punctuated with the occasional hard rock reference, but always with strong melody and masterful execution. This is specially remarkable given that the first three compositions were penned by Foti, while the remaining 4 are by Kulju, and yet, there is total cohesion and sonic harmony on the album. The arrangements are seamless, and the album was a pleasure for me to listen to from beginning to end. For those of you who calculate for a living, this one ranks high. I guess you're expecting me to say they sound like this or that, but nothing comes to mind. They sound like their name implies, a shiny alloy 4 parts gold and one silver, and that's a damn good thing in my book. In all fairness, I don't know how well Electrum will fare in a market flooded with hundreds of unknown bands struggling desperately for a chunk of the wallet of a largely snobbish crowd, especially because they don't cave in and feature guys who sing like fairies or use mellotrons anywhere in their music or packaging. It is a sad thing, but unfortunately talent alone is not enough. For the heretics out there, surf down to their website, listen to their music and decide for yourselves, but I definitely think people who are so meticulous in their craft deserve our support. Believe me, this album is at least one or two sigmas to the right of the average. I'll say it again, just in case you missed the start: BUY THIS ALBUM. It will only get better with repeated listens." "Standard Deviation" by Electrum is a collection of strictly instrumental progressive rock compositions in a fairly conventional rock format. The group has put forth a great effort in the composition of instrumental tracks that have been implemented with refined and polished playing, and delivered in a tactful, well-produced package. The composition presents the listener with some interesting influences in style that span a wide range of conventional and instrumental rock that are woven together into a unique, comprehensive, cohesive style that posesses plenty of drive and direction. The sonic soundscape of this album is a little difficult to convey in words because it is pretty unusual. Though there are speedy spots of playing on the album, the album is not speed-centric. Instead, it seems that the overall musicality and musical vision is the center of attention. There tends to be a harder-edged feel to the tone and playing, though this is balanced nicely with cleaner-toned, less aggressive ideas. The instrumentation is advanced, very intensive, and deploys some very tactful technique and phrasing, yet it does not venture out into the virtuoso-type pyrotechnics you might find in the more progressive fusion or neoclassical of the world class players. But, the composition is good enough to overlook this consideration and the overall musicality is what makes this effort worthwhile. The band sounds like they have assimilated many influences from a lot of different venues of rock and progressive music. The end result of the open-mindedness of the members to different influences has a very interesting materialization in the music. Overall, the album kind of reminds me of what Queensryche might sound like if they nixed the vocals, integrated some progressive keyboards, and added some serious depth to their composition. There is a good sense of melodic and thematic development that is balanced with well-felt, aggressive feel and musical direction. And, these are definitely not easy things to accomplish in original compositions, so I have to give credit to Electrum for their efforts here. I have tried to figure what the conducively receptive audience for this album might be and I am a little unsure because this album seems to fall somewhere in between conventional rock and the virtuoso-based instrumental rock that most instrumental fans are inclined to listen. But, I am thinking that, like me, many fans of instrumental music will appreciate this album for the well-conceived compositional content, good production, well-felt playing, and enjoyable music that it possesses." "Many rising instrumental bands cite King Crimson, Zappa, Yes and even classicists like Stravinsky and Beethoven among their big influences, but how many really arrive with something new and different? The answer is partly found in the latest CD from New England-based Electrum. Formed in 1996 by Gino Foti (bass) and Dave Kulju (guitar) and later joined by drummer Joe Musmanno, the band released their 1998 debut Frames Of Mind and now follow it up with their 2002 masterpiece. On Standard Deviation, the group picks up from where groups such as Gentle Giant and Camel left off at the end of the '70s. Although Electrum's music is completely instrumental, their musical mastery speaks volumes. Both Foti and Kulju add in some fine synth keyboard passages making the music sound even more fully developed. The music on Standard Deviation falls under the instrumental prog-rock banner, but the trio's cutting edge performance and ingenious compositions will also impress jazz-rock fusion and New Age fans alike." "Right from the outset of this CD I had the distinct feeling that I was going to enjoy this band. Opening with some precise bass harmonics, dexterous and flamboyant drumming, with solid and innovative guitar work, my early perceptions were quickly confirmed. Not an easy listening album, but one full of dynamic and complex arrangements, ever challenging timing changes, and nicely melodic sections. So, definitely not one to put the feet up to after a hard day and chill-out to, with a glass of beer or a cup of coffee. Standard Deviation follows up the band's first release from 1998, Frames of Mind. Electrum is collectively: Gino Foti [Bass & Synthesizers], Dave Kulju [Guitars & Synthesizers] and Joe Musmanno [Percussion]. The album came with comprehensive notes regarding all aspects of the band and their music, but as usual I tend to skip over these initially and then put them to one side. This is not that I am ungrateful, but more so that my opinions are not coloured by what the band may think, and later on, it is nice to see if there is some correlation between my summations and the band's viewpoint. This is not to say that after drafting the review, that things may not be added if it is relevant to the music or the people behind the music. Although on the surface Electrum have a guitar, bass and drums line-up, the tracks are nicely augmented by the inclusion of some cogent keyboard sections both in the chordal structure and in some of the lead sections. The keyboards therefore form a significant portion of the overall sound, it is unclear whether these parts are sequenced or played, my feeling goes toward the latter, or possibly a mixture of both. The inclusion of keys does tend to make the material more diverse and in many ways more accessible - which is always a good thing. Initial thoughts, taking into consideration Electrum's three piece make-up and choice of instrumentation was that they must have been, or in fact still are, into Rush and after the first run-through of the album, I had a listen to YYZ from Moving Pictures. However, it should be noted that this is not a Rush type album, nor is intended as such. I had toyed with the idea of doing a track by track precis; however two factors deterred me from this idea. Firstly this type of write-up is always more difficult with instrumental albums and secondly I felt I could be writing for weeks as each track was a multitude of ideas. Eventually I came to the conclusion that my initial thoughts may be the simplest approach - comprehensive notes on each of the individual tracks can be found at the band's website. As a possible guide I had considered the music to have influences from the following, either on each of the individual members or the band as a whole - Rush, Brand X, Steve Morse & Dixie Dregs, Bruford (early), Chick Corea Electric Band and John Petrucci (Dream Theater). Illustrations as to the material and possible highlights would be as follows: A Tense Bow... A Moving Target; a brief but complex piece with time signatures abounding (it certainly lost me at times) and includes solo sections from each of the individual musicians. The Impudent Piece of Crockery; a superb track concentrating around the stylish guitar of Dave Kulju. The opening track The Will to Power, which contains all the elements that make up Electrum's music, one of those tracks that if you decided you were not keen on a particular section, the band had already moved on to the next. Electrum's progressive leanings are best captured during the final half of Seven Falls, Eight Rises, a splendidly orchestrated section. So trying to put Standard Deviation in a nutshell, we have an instrumental album that is both complex and diverse; subtle and themic, whilst covering many styles and constructed around a "power trio" framework. At times jazz rock, jazz fusion, power prog (is there such a thing? ), symphonic progressive rock and so on. A visit to the bands website is probably on the cards as samples from each of the tracks can be found there and possibly enough of a taster to get the flavour of this album." Fortunately, these traces aren't that evident. Also, there are enough of the band's own ideas on the album to make its sound quite an original. Another passion of Electrum has a very positive character. They love the odd meters and use them almost everywhere on "Standard Deviation". There are five compositions on the album that are especially diverse, complex, and intriguing. These are The Will To Power, Degrees of Freedom, A Tense Bow - A Moving Target, Apartment Living, and Seven Falls - Eight Rises (tracks 1, 2, 3, 6, & 7). Stylistically, four of them (1, 2, 6, & 7) represent a blend of a hard-edged Classic Art-Rock and Prog-Metal (which, structurally, is close to Rush's model). While A Tense Bow - A Moving Target is the piece of a pure Classic Art-Rock. There also are a few of the solos that sound like improvisations, though, in fact, all of them were thoroughly composed. Here is kind of a structural picture that, on the whole, is typical for the first four of the aforementioned compositions. A wide variety of different musical dimensions, consisting mostly of contrasting interplay between the tonal and atonal, fast and slow, etc. solos and riffs of electric guitar and solos of bass guitars and keyboards, kaleidoscopically change each other through the awry lines and other strange measures of time. In other words, the structures of these compositions are very unstable - like those of neutrino, yet, positively. Furthermore, three of the said tracks (2, 3, & 6) feature the arrangements that develop constantly. As for the last and the longest track on the album, the arrangements that are featured on about a half of its length can be described same as all four of the other remarkable compositions on the album. The other part of Seven Falls - Eight Rises contains the more quiet and predictable arrangements, most of which are lushly orchestrated by the passages of synthesizer ("synthetic" string ensemble, to be precise). Both of the remaining tracks, The Impudent Piece of Crockery and A Fugue State (4 & 5), are the pieces of Classic Symphonic Art-Rock. The melodic constituent of the arrangements that are featured on both of them is more evident here than on any of the other compositions of the album. Which, though, by no means diminishes the value of these two pieces, as well as all the progressive beauty of them. It's clear that the music that is presented on the second Electrum album "Standard Deviation" is as far from Neo as Neo itself is far from Rap (damn, why did I put this foolish word here?). Also, it's not your typical Classic Art-Rock album. It's kind of an extravaganza of complex time signatures that dance round the axis of each composition and crush it with the persevering regularity. "Standard Deviation" comes highly recommended to all those who are tired of a shady stability that, alas, is present on most of the contemporary works of Art-Rock genre." "This is the second album of Electrum, the debut Frames Of Mind released in 1998. The band has a penchant for using differing signatures and make a brand of intrumental prog at times inspired by the writings of Nietzsche. The band sent me a long list of distributors and I would be surprised if you can not find it anywhere. The Will To Power is a good beginning to this album. Although the song features some spoken/whispered voices, it is dark instrumental rock comparable with the likes of Mastermind (Excelsior, but less dazzling) and Rush (La Villa Strangiato). In both cases, Electrum is maybe a bit less intense, a bit more relaxed and also more rich in keyboards, but especially on this track the band does have some really nice parts in which the guitar and the drums drive the song on. Although the songs consists mainly of some really good instrumental parts strung together, the end result is good, mostly by virtue of the strength of the separate parts and also the ever present underlying tension. An extremely promising start. The ending to the song reminds of the death of Judas as portrayed in the Jesus Christ Superstar movie. On Degrees Of Freedom the mood is more relaxed with flowing guitar melodies and some nice "piano" playing. The drumming is also quite relaxed on this instrumental ballad. They liken this track to ECM style music, but for that it is a bit too melodic and proggy, although they seem to have struck the right mood. Especially the ending is a bit too active for an ECM release. A Tense Bow...A Moving Target continues the line of the previous two songs, but is certainly more involved and active than the previous. As the bio states, the song is made out of the leftovers from the first track, and this shortish instrumental is full of variation. On The Impudent Piece Of Crockery the keyboards, bass and drums go easy at it as this song is dominated by the jazzrock oriented guitar, which meanders throughout. Plenty of signature changes again, but to me the song is a bit too easy-going. When the guitar is there it dominates too much, when it isn't there what is left is too uneventful, too undistinctive. The final part also has guitar, but now more atmospheric. Not a high point. In the intro to A Fugue State the Rush influences abound. The song consists of a number of widely differing passages including a slow blues part, the mentioned aggressive Rush-like part on guitar, a plodding organ part, an orchestral part (with keyboards), an off-beat fluting keyboards part (this is the fugue part) and even some mellotron. Most parts are good, but there is an arbitrarity to it all. One of the guitar lines (in the back) has something of the main melody of Blue Oyster Cult's Don't Fear The Reaper. The song ends climactic. The track Apartment Living is probably written to scare off your neighbours. Kulju wrote it one night when his various neighbours kept him out their sleep. So if you ever have any neighbours like that, play them this in return, loud. Manic guitars in nineties King Crimson style will scare the wits out of them. The final track is the fifteen minute epic Seven Falls, Eight Rises. In style, the song can be compared to La Villa Strangiato with rather loud, aggressive guitars, but also some more tension building with some sweeping melodies and ascending repetitive guitar parts. Before we get halfway we get a rather long uneventful passage, but after that we get a nice orchestral passage as reward. Maybe the previous passage was too offset this keyboard dominated part. The music continues to be orchestral until the end, but along the way also includes some less orchestral elements such as a bouncy guitar. The song climaxes at the end, to be put to rest by a short melodic piece of piano. I have to admit being really satisfied with this instrumental album. The only track I did not really care for was The Impudent Piece Of Crockery, but all the others contained active and one more relaxed piece with some really good melodies, an extreme lot of variation in a vein that lies somewhere between La Villa Strangiato by Rush and Mastermind on their Excelsior. In addition, the band also holds back sometimes, so it is not all flashy and fast, although I do like it more when they get more aggressive. As with many varied instrumental bands, the band is good at evolving short passages with compelling melodies, but not always first rate when it comes to combining these into meaningful wholes. That is why the songs sometimes come over as being somewhat arbitrary. Nonetheless, a good instrumental progressive album that ought to win the band quite a bit of attention." "When a band states that two of its instrumentals are based on certain treatises of Friedrich Nietzsche, you know you're not going to be getting any lightweight musical frivolity anytime soon. Not only that, however, but the suspicion that the aforementioned work is going to be quite involved and thematically schizophrenic should also enter the picture for the sake of preparation. Ah yes, welcome to the world of Electrum and its sophomore effort _Standard Deviation_, a collection of precise and intricately arranged instrumentals devised to get the listener's brain toiling away at the musical nuts and bolts that are pieced together here like sharply fabricated counterparts and laid down for posterity. Yet philosophy according to Nietzsche should not constitute the background of this brief worded exploration of the album, but rather the field of mathematics, which seems to pretty much dominate the focus of this American trio's attention and conduct it into careful calculation. Not only in terms of odd meters, runs, thematic changes, and instrumental precision, but more importantly in how Dave Kulju, Joe Musmanno, and Gino Foti each allow themselves only the exact amount of time needed and with the exact right timing to demonstrate their respective skills, with all the remaining time dedicated to forging one single instrumental entity out of their collaborative efforts. In other words, these guys play what needs to be played; nothing more, nothing less. 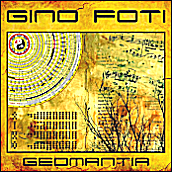 Certainly not a bad quality to have in a field of music in which it is almost too tempting and easy to engage in reckless overplaying, and one that reaps its benefits particularly with Foti's ability to create a solid and dynamic harmonic backdrop every single time and then lock on to Musmanno's drums in a split second. Moreover, it is a precious characteristic to rely on when one considers the fact that tracks such as "The Will to Power" and "A Fugue State" are in a constant condition of change and thus in constant need of such harmonic coherence. And by the time the listener is introduced to the pensive sweetness of "Degrees of Freedom", the dire tension of "A Tense Bow... A Moving Target", and the angry and almost jarring attitude of "Apartment Living", it's pretty obvious that the coherence of Electrum's music is due to the perfectly calculated and designed intentions of its creators. A bit too perfectly, perhaps. While there is really not much to be faulted within the clever construction of Standard Deviation and its instrumental variation, there is a sense of excitement that is generally absent from the proceedings. True, one can almost touch the ethereal delicateness of "Degrees of Freedom", and the thematic changes within its instrumental comrades carry within themselves a certain emotional impact, but the album nonetheless sounds too matter-of-factly. Perhaps it could be that mathematics just held the grip of interest all too firmly this time around, but regardless of that shortcoming, the end result is quite interesting, and doubtlessly a good display of the balance and understanding of tension and release that this trio possesses." "I had the privilege to review Electrum's debut album "Frames Of Mind" in 1998. "Frames of Mind" showed a competent and full-grown band with skilled musicians and complex, constantly changing instrumental compositions. They are experimenting with a lot of tempo changes and different time signatures. Electrum's second album "Standard Deviation" follows the same direction and there's no doubt that these guys can really play. Their music is a blend of jazz-fusion and progressive rock, mostly progressive rock with reminiscences to Djam Karet, King Crimson, Rush and Yes. Unlike so many other bands that are playing instrumental music, Electrum manages to compose interesting compositions that don't need vocals. If musical skills were the recipe for fame, Electrum would've had their fair share of it." "Another trio but from Massachusetts with their sophomore 7-song effort of definite Rush influence (w/o the vocals). The band has quite an extensive background as far as experience playing, degrees in music, dabblings in audio engineering, as well as the trio having similiar influences of Rush. Other stuff I hear on here for people to relate to is: Deep Purple, Dream Theater, and even some Classical stuff (lots of piano). Very pleasing CD and I'd say fans into other bands like Liquid Tension Experiment, Cairo, and Pink Floyd will definitely dig these guys. Electrum is a burst of modern achievement combining the influences of icons with their newer blood, tainting the overall performance of what's rightfully their own identity." "Über zwei Mails in der Rush Mailing List "The National Midnight Star" kamen Electrum 1996 zusammen. So fanden sich über einige Umwege letztendlich drei Musiker - Bassist Gino Foti, Schlagzeuger Joe Musmanno, Gitarrist Dave Kulju - deren gemeinsame Experimentierfreudigkeit und Vorliebe an instrumentaler Musik mit ungeraden Takten und unorthodoxer Betrachtungen sie von Anfang an verband. "Standard deviation" ist nach dem 98er Werk "Frames of mind", das zweite Album der Band aus Massachusetts. Natürlich kommt einem bei einer Power Trio Besetzung und der logischen Verbindung zur Rush Mailing List als erster Vergleich der Dreier aus Toronto in den Sinn. Und ganz so falsch liegt man dabei nicht, auch wenn sich bei Electrum logischerweise nur Inspirationen wiederspiegeln, die Band eine ganz eigene Identität verfolgt. Durch die Hinzunahme von Keyboards und MIDI Pedals kommt der gehörige Schub an instrumentaler Tiefe und Vielschichtigkeit dazu, der bei Electrum aus Versatzstücken aus melodischem Progressive Rock, klassischen Einflüssen, sowie leichtem Jazz Rock Einschlag besteht. Es gibt fast keine Frickelorgien, sondern die drei Amerikaner stellen vielmehr den Song, das homogene Zusammenspiel in den Vordergrund, der Bandgedanke ist das übergeordnete Element, der somit die Einzelleistung in den Hintergrund drängt. Dadurch gerät "Standard deviation" aber keinesfalls zu einem langweiligen Instrumentalalbum ohne Esprit, denn die Instrumentalisten lassen bei Gelegenheit durchaus ihr Können aufblitzen, lassen es auch mal krachen, wobei diese Art seine Musik zu präsentieren, dem Album sichtlich gut tut. Doch trotz der gelungenen Mischung aus Rock, Härte, Virtuosität auf der einen, sowie sinfonischen Elementen, Melodik, Songdienlichkeit auf der anderen Seite fehlt den Songs der letzte Pfiff, der zündende Gedanke. Das Album ist bestens produziert, die Lieder fließen souverän voran, aber Wiedererkennungsmomente graben sich wegen der unterschwellig unspektakulären Spielweise nur spärlich in die Gedanken ein. Wer auf souverän gespielten Instrumental Progressive Rock steht, sollte aber auf jeden Fall bei Electrum ein Ohr riskieren, denn diese Band hat vom Können her einiges auf dem Kasten." "Après un premier album, «Frames Of Mind», par trop influencé par Rush pour avoir marqué les esprits, les trois musiciens d'Electrum (ceci explique certainement cela !) nous offre cette fois-ci un propos bien plus personnel, au point que «Standard Deviation» apparaît bel et bien comme une excellente sortie, capable de rivaliser fièrement avec les meilleures du moment... Plus mûr et abouti que son devancier donc, ce nouvel opus se propose de développer de saisissants contrastes entre des parties acoustiques et d'autres plus rock. On pense ainsi dorénavant davantage à Discipline ou Versus X qu'à Rush, et «Standard Deviation», par le plaisir renouvelé qu'il procure, démontre clairement qu'Electrum a définitivement changé de catégorie... Une excellente surprise!" "It's been 4 years since the debut release by this band called Frames Of Mind, and it seems that everything that lacked on that CD has been addressed on this one. A band that came together by virtue of the Internet, and each members affinity for the Canadian progressive icons Rush, they have combined this love for Rush's more progressive side, and introduced these elements into their own instrumental music. Frames of Mind, showed some promise, but lacked on the melodic side, showed little depth, and offered no soloing of any kind, even though there was a ton of space in which to do so. This time around, the songs are much more intense, complex, and filled out. There is more synth work, and keyboards, prominent guitar solos, great drumming, and Foti's bass work is heard loud and clear. Standard Deviation, is a CD that shows a band that is learning and growing, when compared with what they did on FOM, this is much more than a logical step forward, but many flights of steps. I like the band's dedication to the Rush sound, it is carried out through the length of the CD, capturing the many facets of what made Rush a great progressive band, if you may remember the musical explorations on albums like: Hemispheres, Permanent Waves, Moving Pictures, A Farewell to Kings, that is what Electrum has managed to infuse into their instrumental music. I also am noticing a band that has improved a lot as musicians, this goes along with the quality of compositions, and makes this a very listenable CD. This band writes in a style that focuses on their abilities to play as a group, and it is complex enough to keep the progressive listeners attention span from start to finish. You won't hear any blistering guitars, virtouso bass renderings, or drumming that will soon make you forget Neil Peart, but as a team this band is showing that they are capable of creating music that should draw attention from the lovers of Rush and just great instrumental prog in general." "Secondo album per la band statunitense degli Electrum, nata nel '96: il chitarrista Dave Kulju pubblica un annuncio su "The National Midnight Star" (mailing list dei Rush), risponde il bassista Gino Foti (d'origine messinese), in seguito arriva il batterista Joe Musmanno. Si debutta nel 1998 con "Frames of mind". "Standard Deviation" si articola su un interessante concept: la relazione tra musica e matematica, la "deviazione" da standard e modelli consolidati, concetto visualizzato nel ricorrente simbolo del Sigma e nella bandiera stracciata. Interessante anche se si tratta di musica strumentale (dei testi con i quali approfondire il discorso non avrebbero certo annoiato, il booklet non è così eloquente...). Formazione "triangolare" ed influenze letterario/filosofiche (Nietzsche ad es. ), l'influenza dei Rush è presente ma non prende quasi mai il sopravvento: ad alternarsi sono stacchi hard, sfumature new prog, pause quasi new age, passaggi fusion, il tutto dominato dalle chitarre di Dave. Quelli di Camel o Hackett potrebbero essere, quindi, dei riferimenti spicci, in realtà il sound risente solo a tratti di questi artisti: l'album è idealmente divisibile in due parti, i primi tre pezzi scritti da Foti, gli altri quattro da Kulju, il tutto però risulta omogeneo e maturo. Apre le danze "The Will To Power", camaleontico hard prog, intricato quanto basta, con Foti e Kulju a dividersi le parti di tastiere: la chitarra domina ma non siamo affatto in territori alla Pendragon o Odyssice (bands spesso carenti di idee e capaci di riempire dei quarti d'ora con interminabili guitar-solo...), Dave guida la musica, alternando le sei corde alle tastiere, costruendo passaggi ora delicati e suggestivi, ora dinamici ed aggressivi. Gran bel brano. Discorso diverso per "Degrees Of Freedom", un brano che mette in risalto un'intrigante vena melodica, tra sfumature pinkfloydiane e malinconici momenti di tastiere e piano. Rari, se non del tutto assenti, momenti sereni e solari, prevale un atteggiamento intimista e introverso, a me (ma trattasi di gusti) particolarmente gradito. In "A Tense Bow... A Moving Target" si coglie la bravura della formidabile coppia ritmica Foti/Musmanno, mai semplici gregari ma determinanti nelle variopinte evoluzioni, imponendo accelerazioni dal deciso vigore hard ed imperiosi breaks. Non lontani echi della migliore fusion, gli stessi che animano l'avvolgente "A Fugue State", interessante per le numerose influenze, progressiva per la naturale tendenza alla fusione delle stesse. Su una scia vicina il latimeriano e romantico episodio di "The Impudent Piece Of Crokery", un brano struggente dove la chitarra di Kulju svetta per ispirazione e drammaticità. A mio avviso solo un orecchio superficiale potrebbe ritenere scialbe certe composizioni, serve dunque un ascolto ripetuto ed attento. Dopo il corrosivo tecno metal di "Apartment Living" (tra Fripp e i Fates Warning di "Pleasant Shade of Grey"), la conclusione è affidata all'imponente "Seven Falls, Eight Rises": la lunga durata è terreno adatto per cesellare suggestivi rilievi in cui i Rush progressivi sfidano Hackett o gli Yes più adamantini. Ottimo lavoro ritmico, chitarre di evidente espressività, aperture sinfoniche e momenti pieni di tensione melodica, preziosi interventi di piano ed un ruolo di contorno per i synths (un tastierista di ruolo a mio avviso non sarebbe poi così inutile), chiamati ad incorniciare di mistero o di fragranze campestri gli itinerari tracciati da Kulju. Per me un lavoro interessante e piacevole, ritengo che, pur non essendo complicato od ostico, necessita di non pochi ascolti per essere apprezzato in toto. Nulla di eccezionale ma se vi capita a tiro non lasciatevelo sfuggire." "Il secondo album degli Electrum, trio strumentale composto per due terzi da italo-americani con base nel New England, fa un buon passo in avanti rispetto al suo predecessore (finalmente riesco a dire una cosa del genere per un secondo album! ), pur già buono. Le forti, ancorché ben sfruttate, influenze Rush degli inizi si sono notevolmente ammorbidite, in favore di un Prog più orientato al sinfonico, anche se non si può parlare di un album di classico art-rock. Si tratta piuttosto di una collezione di brani che alternano melodie rock, potenti riff, escursioni fusion e anche delicate introspezioni, ma tutto esposto in modo molto organico, offrendo una musica complessa e spesso intricata ma che non perde mai di vista il pallino, ove ogni riff di chitarra non è fine a se stesso ma serve a comporre una miscela notevolmente personale che ancora può ricordare qualcosa di Rush o Mastermind, ma solo a tratti. La band riesce ottimamente a far evolvere brevi passaggi in melodie irresistibili, in maniera solo minimament artificiosa. La musica degli Electrum raggiunge i suoi momenti migliori proprio quando la ritmica si fa potente e la chitarra più aggressiva: allora possiamo sperimentare ciò che un trio del genere riesce a creare, mentre nei momenti più pacati la band sembra perdersi un po'. Si tratta in sostanza di un disco che mi prodico nel consigliare a tutti in quanto, ad un livello qualitativo di tutto rispetto, il gruppo riesce ad affiancare un'originalità piuttosto interessante ed anche una sapiente attrazione per il Prog complesso ed intricato, pur rimanendo relativamente fruibile." "Do you like your music delivered with certain sense of indefinability? If so, you might well enjoy this one. Electrum presents a form of music that is definitely progressive rock, but beyond that distinction their music is very hard to label. You might hear various leanings drifting out here and there (fusion, Led Zeppelin, King Crimson, and Rush, to name a few), but the band seldom stays in one place for very long. Instead of leaning heavily on their influences, they seem to prefer the "touch-and-go" approach. This practice lends the group a unique sound, something that is often too rare. All the members of the band are definitely accomplished musicians, another plus. The only things out of place are an occasional moment or two that seems to show a slight lack of musical maturity and a production that leaves just a little to be desired. Neither of these elements really takes away from the enjoyment of the album, though. This should make an entertaining diversion for progressive rock fans, wherever they are." "Standard Deviation" ist die zweite Platte des 1996 gegründeten Trios. Schon die Coverbilder - das mathematische Symbol für "Standard Deviation" mitten in der wilden Naturlandschaft, in Pastellfarben gehalten - siehen vielversprechend aus und bringen das musikalische Erscheinungsbild dieses Albums so ziemlich auf den Punkt : durchdachte Musik, die natürlich und unverkrampft wirkende Geschlossenheit vermittelt, ohne die traditionellen Schönheitsbegriffe zu vernachlässigen. Neben zahlreichen, von den Musikern genannten Einflüssen, die von Progmetal, über Progrock-Klassiker, Jazz, Klassik bis hin zum Neoprog reichen, werden hier auch mathematisch-philosophische Überlegungen herangezogen. Ein Beispiel : "Standard Deviation is a statistical concept, but it evokes an emotional and social response." Trotz dieser manifestierten Kopflastigkeit der beiden Komponisten Foti und Kulju ist die Musik keineswegs abweisend. Vielmehr wirkt diese mit frappierenden Themen, vertrackten Rhythmen, zahlreichen Tempiwechseln, Gitarren- oder Synthiesolos, sowie gekonntem Schlagzeugspiel angenehm "logisch" und unaufdringlich obsessiv. Die subtile Spannung der Stücke wird in jazz-rockig angehauchten Solos aufgearbeitet. Einige Akkordfolgen von "The will to power" bergen eine gewisse Ähnlichkeit mit der ersten U.K.-Platte, "A Fugue State" bietet mit einigen fast pastoralen Keyboardmotiven klassische Bedächtigkeit, die sich mit temperamentgeladenen Parts abwechselt. Es wird auch gerne mal etwas mehr Druck und Tempo erzeugt, wie z.B. auf "A Tense Bow... A Moving Target". Oberflächlich gesehen könnte man z.B. "The Impudent Piece of Crockery" als dahinplätschernd abtun. Bei eingehender Betrachtung kann man sich jedoch dem fasziniernden Aufbau dieses Stückes kaum entziehen.Dabei gefällt mir besonders der delikate, gleichzeitig jedoch mit thematischer Bestimmtheit ausgestattete Sound des Trios. Auf "Apartment Living" wird die Sanftheit mal wieder beiseite geschoben : das aggresive, progrockige Stück handelt von zu lauter Nachtmusik eines ex-Nachbarn. Glücklicherweise - eigentlich Schade für die Musikwelt - hat sich der Verfasser von "Apartment Living" Dave Kulju inzwischen ein Haus gekauft. Nachbarliche Inspiration fällt also bis auf weiteres aus. Auch auf "Seven Falls, Eight Rises" wird progmetalisch gerockt und dabei bei Rush Anfang der 80er angeknüpft. Nur dass hier die Einfälle noch konsequenter ausgearbeitet werden. Das Stück und gleichzeitig das gesamte Album erfährt dann im weiteren Verlauf eine imposant-bombastische Steigerung, die mit Pianoläufen und symphonischen Keyboardeinsätzen erzielt wird. Fazit : Eine sehr gelungene Instrumentalplatte, die es tatsächlich schafft, gleichzeitig fließend und spannungsgeladen zu sein. Es wird hier mühelos zwischen Progmetal-, Jazzrock-, Klassik- und Neoprog-Einflüssen hin- und hergeschaltet. "The 2nd Electrum represents a major leap forward for the band. Having shed most of the Rush influence, this is now first-rate instrumental progressive, with keyboards and melody playing a much larger role than on their debut. The band navigates frequent tempo and time signature changes without drawing attention to them, and the album culminates in a 14-minute piece representing their most symphonic work to date." "2nd album from US instrumental trio heavily influenced by Rush. Electrum consists of Dave Kulju on guitars/synths, Gino Foti on bass, and Joe Musmanno on percussion. This is a far more accomplished and mature effort than their debut, Frames Of Mind. I am particularly drawn to the band's ability to balance delicate acoustic parts with heavier electric elements creating strong dynamic contrasts. If you dig stuff like YYZ than this will definitely scratch that itch that Rush seems to given up on satisfying." "Electrum plays blistering prog with a definite rock edge. The music is powerful and heavy but not metal at all. The musicianship is excellent and tasteful. They have their own sound but fans of Rush's power trio playing will enjoy this music." "Long-awaited second album and they've come up with another good one, again wholly instrumental, featuring guitars, synths/keys, bass and drums, with compositions that stride manfully on, covering an assortment of influences within a fundamentally pro-rock framework. You'll hear passages from classically-influenced, through bluesy to fusion-esque, but mostly, pure prog-rock structured compositions played, arranged and produced cleanly, while still getting across the bite and depth that the band possesses. The compositions are taken at various paces and sometimes you'll get a languid feel with ringing guitar chords and melodic piano, synth backdrops and tasty rhythm section, while at others, the tempo accelerates but the melodies remain. The band plays superbly throughout, with the guitarist taking a lion's share of the lead work. The tracks are extremely tasty throughout and it is the wide melodic variety as well as a strongly cohesive sense of playing, that makes this latest album a really pleasant and highly enjoyable musical travelogue." "The second release by this incredibly tight trio of instrumental rockers finds them really refining their compositional style stretching out quite a bit on the 14+ min album closer "Seven Falls, Eight Rises". The sound is less overtly Rush influenced this time around and that is good, too. This is a great disc of hard, driving modern progressive instrumental ROCK! Their third disc should be a total killer!" "Deuxième album, bien meilleur. Complexe, jazz, fusion, rythmes impairs à gogo. Style 1er Bruford, avec un léger symphonisme camélien. Très inspiré."